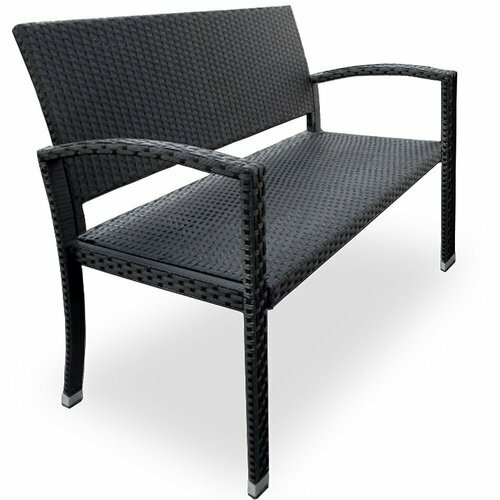 2 Seater Elegant looking Wicker weaving Garden Bench adds a nice touch to your Residence Terrace, Balcony. Established in the year 1988, we, Arpan Associates, are well-known in the industry as one of the leading manufacturers, suppliers, exporters and traders, engaged in offering our clients with Amusement and Gym Equipment. Under this robust range of products, we are providing Outdoor Gym Fitness Equipment, Swimming Pool Play Equipment, Amusement Park Equipment. All our offered range of equipment is designed and developed under the supervision of experienced professionals, who hold vast knowledge of this domain. Furthermore, we offer customization facility for these products to suit the demands of esteemed customers. Backed by a sophisticated infrastructure unit that is sprawled across a wide area of premises, we have been able to successfully carry out the organizational goals in prominent manner. Installed with modern machinery and technology, our infrastructure is segregated into different departments for proper functioning, handled by our team of professionals. Owing to this, we have been able to cater to the demands of South Africa and Nigeria.